Hartford Hospital Histology | Controlled Air Inc.
For this project we needed to set up a new lab in an existing hospital space. 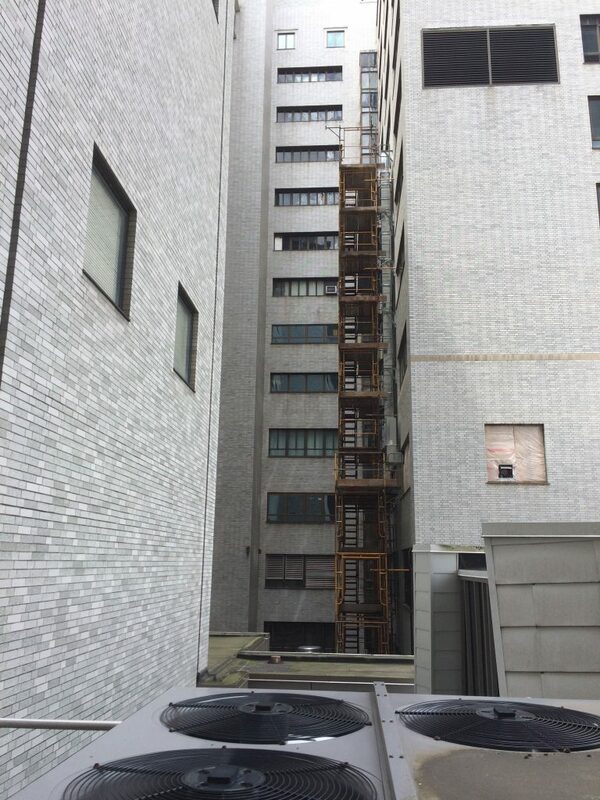 There was a lot of intricacy, coordination and planning to work inside a functioning hospital that allowed for no downtime. 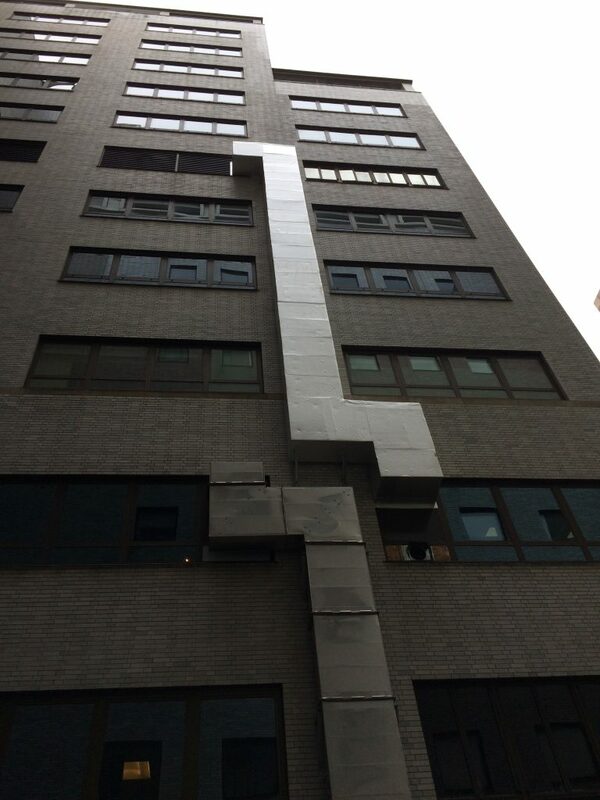 The exhaust fan was 3 floors down and autopsy and tissue sampling was using the same system. Additionally the air handler had to be changed on the fly as it fed the maternity ward and other areas that could not be shut down. 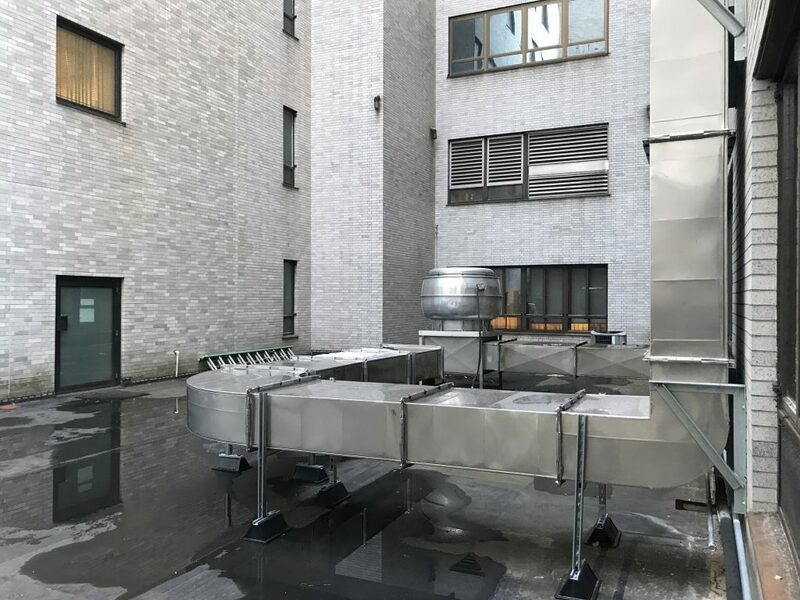 We furnished and installed one roof mounted exhaust fan connecting to existing system, along with a new steam coil, hot water coils, piping modifications, and custom grilles for the downdraft system cabinets. Additionally we installed three Accu Valve VAV boxes, two with fume hood controllers, registers, grilles & diffusers and piping as required. 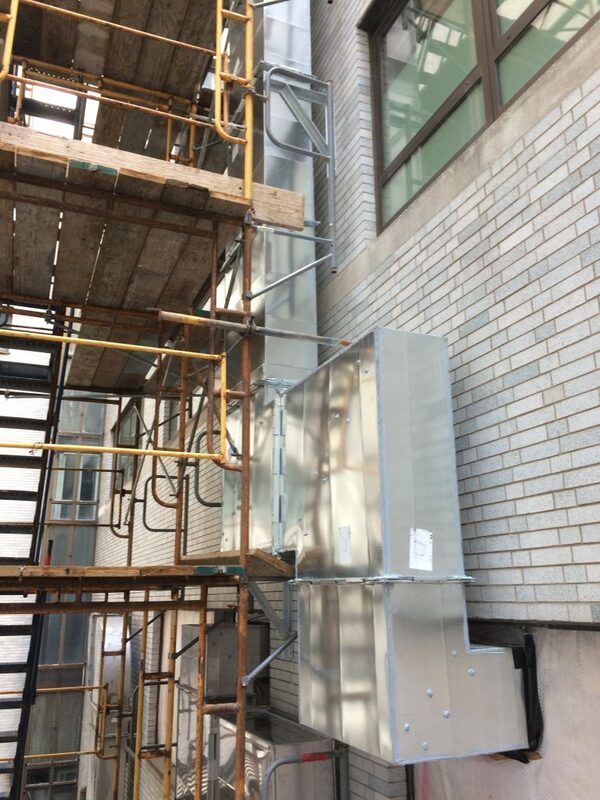 New stainless ductwork with exterior supply duct having board insulation with peel-n-seal covering. 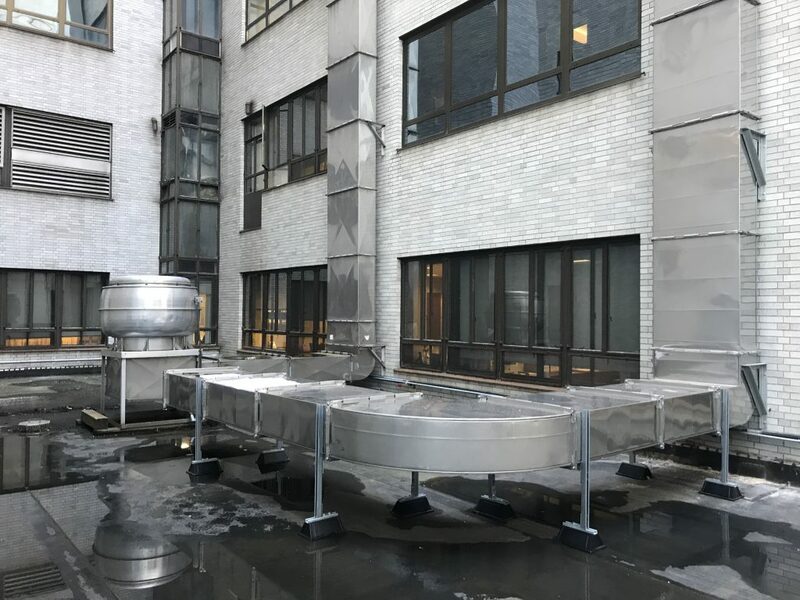 We also installed a specialty exhaust system on the lab tables that pulls the air through the back splash to reduce or eliminate issues of contamination or smells.